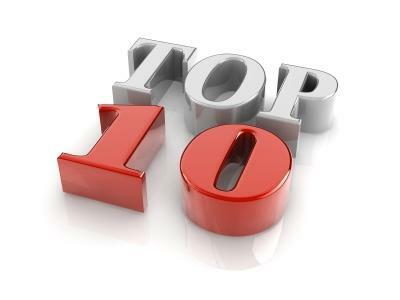 Check out the week's ten most popular articles on Pharmafile.com now. Some of the biggest news this week concerns companies that are looking to move on parts of their business, but as Pfizer has shown, it is sometimes easier said than done. In addition, two former Kite executives have been unable to resist being drawn back into the field, with a big to make their former technology obsolete. Nordic Nanovector revealed that its Chief Executive Officer Luigi Costa is set to step down from his role at the company, with the decision being made with mutual agreement from its Board of Directors. 28 years after the US first pioneered proton beam therapy at Loma Linda University Medical Center, the UK now has its own centre that will be able to provide this type of treatment to patients. Back in 2014, Roche entered into strategic collaboration with Inception Sciences to look into the regenerative medicines space for multiple sclerosis. As per the initial agreement, Roche was able to acquire the research program when an IND was able to be filed. A surprise new name was thrown into the ring to take on Pfizer’s healthcare unit but speculation suggests that valuation is once again the sticking point, indicating that Pfizer may not be able to find anyone willing to acquire the unit this time around. Rumours suggest that Allergan is looking at options to divest its women’s health unit in a move that could potentially reap about $5 billion. A combination of two specific drug varieties may offer an effective treatment for most kinds of lung cancer by blocking their use of the cytokine tumour necrosis factor as an “escape route”. Boehringer Ingelheim and biotech firm OSE Immunotherapeutics announced that they entered into an exclusive collaboration and license agreement to develop the latter’s candidate for the treatment of advanced solid tumours. Fred van Goor, Principle Research Fellow at Vertex Pharmaceuticals, discusses his history of work in cystic fibrosis and how the company’s development of Kalydeco succeeded against all odds. Two of Kite Pharma's former executives have burst back onto the CAR T scene by licensing Pfizer's portfolio of potential allogeneic treatments. NICE issued draft guidance rejecting the routine use of Sanofi’s Dupixent for the treatment of moderate-to-severe atopic dermatitis on the NHS in adults when systemic therapy is suitable, citing, as usual, cost-effectiveness concerns.